In my last post I talked about the beauty in the subtle nuances that existed in many of the rooms. Noel Jeffery's bedroom is another great example. When you entered you felt enveloped. It felt cozy, but you didn't know exactly why. 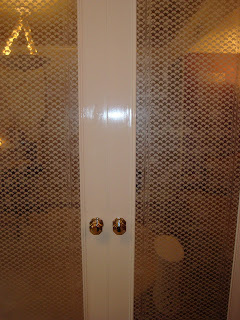 Soon you realized he created rounded curtains in the four corners to soften the room. 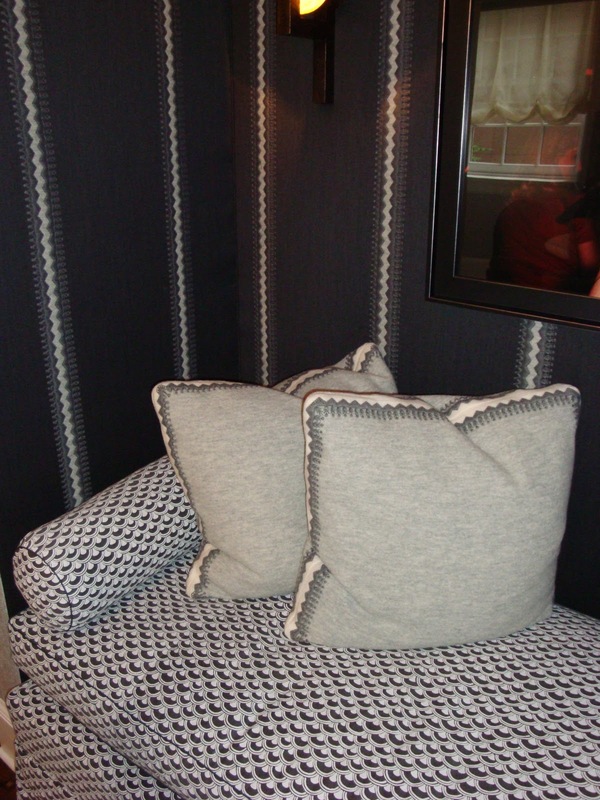 In the his and hers Dressing Rooms designer Darren Henault paid special attention to detail. 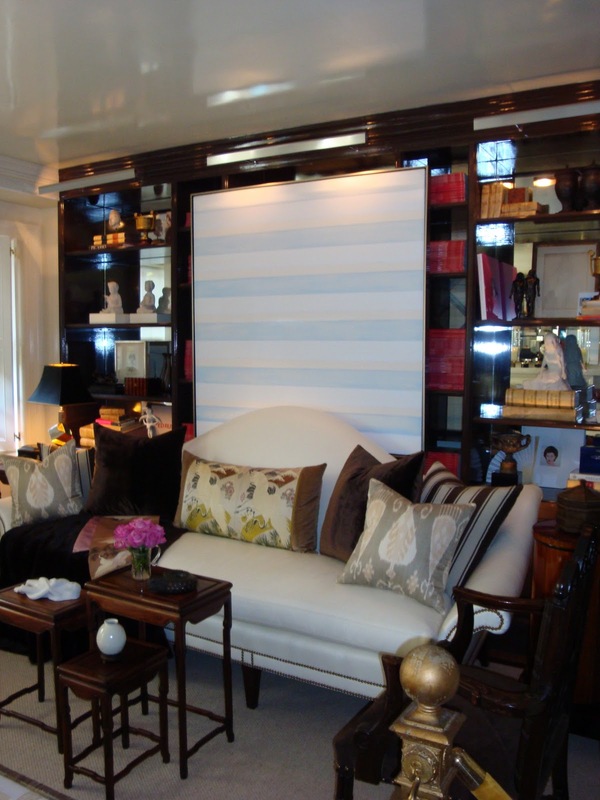 The painted mirrored doors in her room mimic the fabric on the chaise in his room. It created a cohesiveness between the two rooms that I thought was outstanding. High gloss, lacquer and mirrors always get my attention. And at the end of the day, who doesn't want a calm refuge from the city? A 3 sided mirror panel creates endless views at ground level while a green screen creates privacy above. You have read this article designer show house / Kips Bay 2010 with the title Kips Bay Show House: Part Deux. 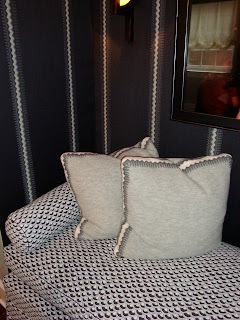 You can bookmark this page URL http://ourpicturewindow.blogspot.com/2010/10/kips-bay-show-house-part-deux.html. Thanks! 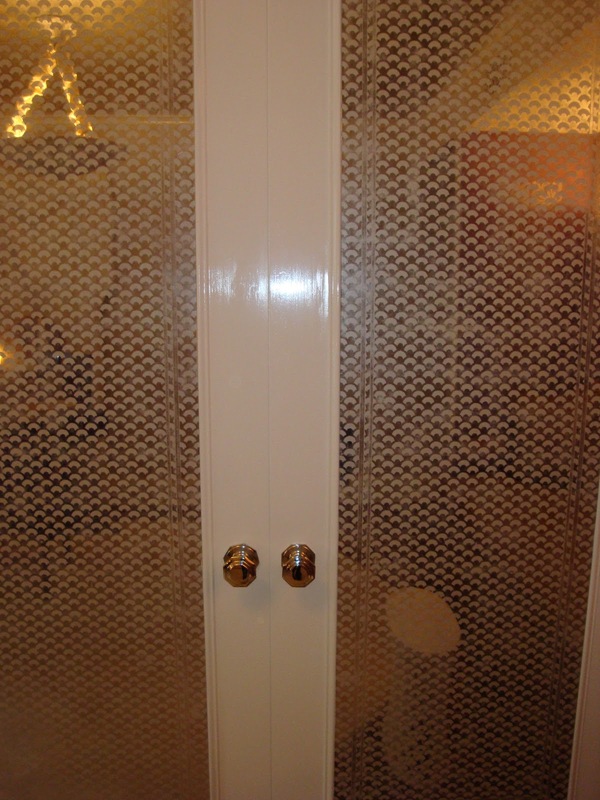 No comment for "Kips Bay Show House: Part Deux"